Brilliant cover and really happy with it. Fantastic phone case - great quality and been using it for 2 weeks and still no scratches. Amazing product, my partner is over the moon with her gift, the picture quality was great, would highly recommend. Image quality is super! Very pleased! Quick and easy process. Will definitely use again! Amazing fit and well done for including later model phones. 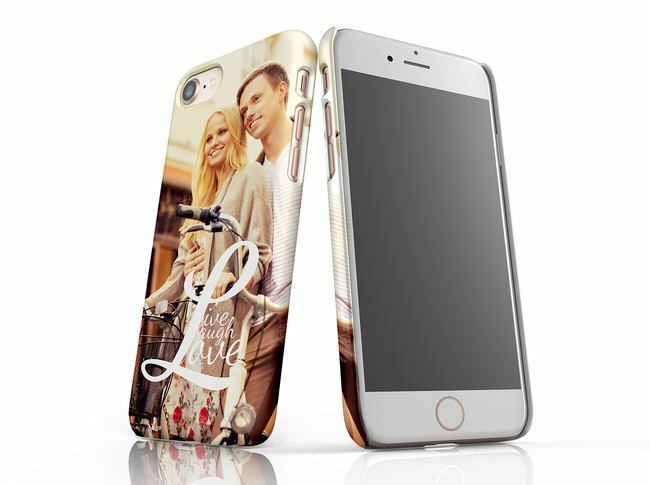 Would thoroughly recommend this site to anyone wanting to order personalised phone cases. I was delighted with my phone case for my I phone 8. Beautiful quality personalised with my chosen photos of my children and grandchildren. Adore my phone cover, lovely quality images.